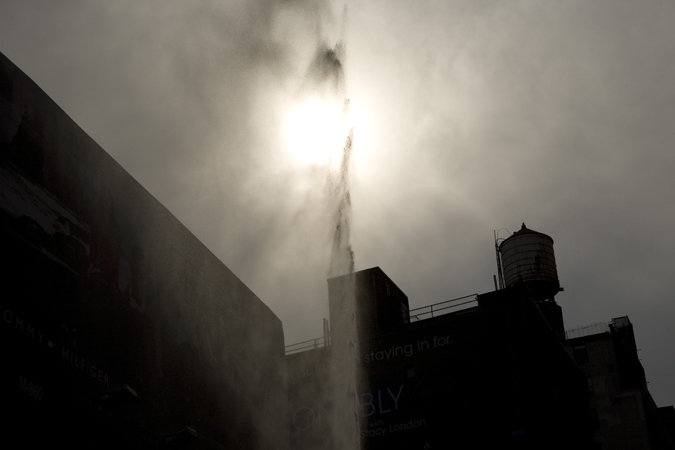 During a three and a half hour period a constant jet of water was released vertically into the air from the sidewalk. 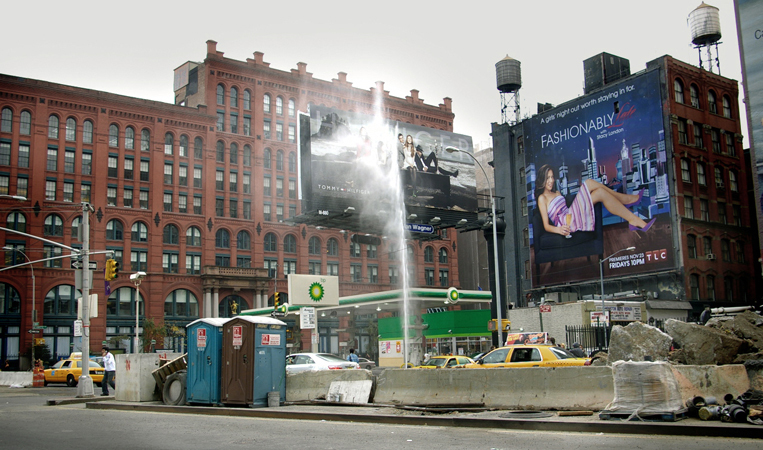 The installation consisted of water taken from a New York City Hydrant, put through a high pressure electric pump and released 95 ft into the air. 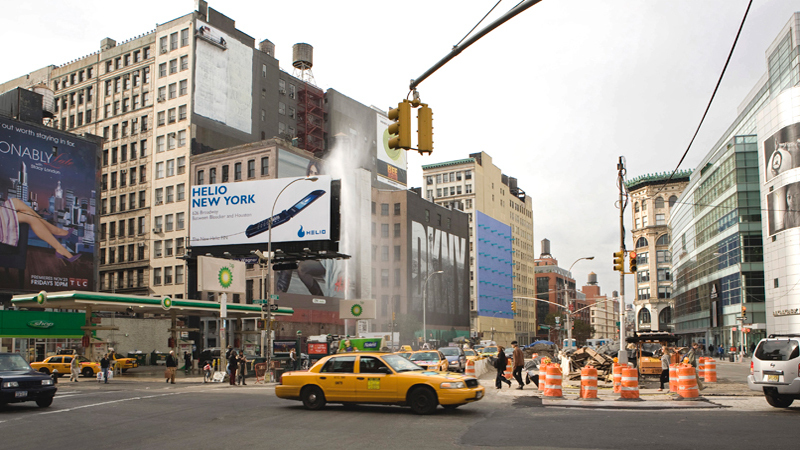 The viewers & passers by were able to see the work from up close or 10 city blocks away. 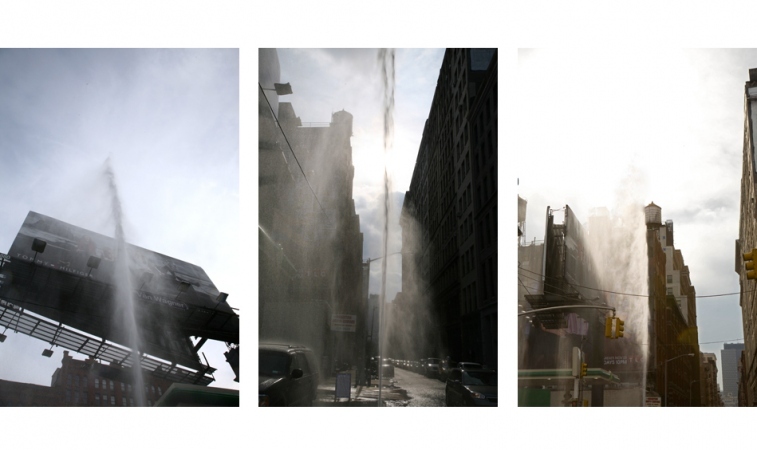 To the public audience the work, started conversation in both, a physical and metaphysical manner, raising unavoidable discussions concerning each individual person's relation to the mechanics of the Island. Responses varied from exhilaration, boredom and panic to total verbal abuse. Cinematography by Garen Topalian and Clement Price-Thomas and Edited by Zena Sfeir.